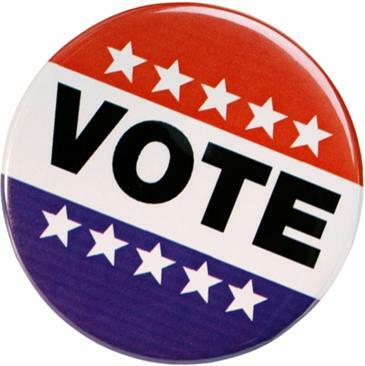 Stop by the Tunxis Library Circulation Desk before October 23rd to fill out a voter registration form. We’ll mail it in for you. All active registered voters in Connecticut may vote on November 6, 2012. Various congressional, state, district, and local races will be on your ballots. Polls will be open in your community from 6:00 AM to 8:00 PM. October 23, 2012 is the mail-in voter registration deadline for the General election. October 30, 2012 at 8:00 PM is the in-person voter registration deadline at your town hall for the General election.Individuals who turn 18, become U.S. citizens, or become residents of the municipality on or after 10/30/12 may be eligible to register to vote after this deadline by contacting their registrar immediately. This entry was posted on September 17, 2012 at 10:11 am and is filed under Uncategorized. You can subscribe via RSS 2.0 feed to this post's comments. You can skip to the end and leave a response. Pinging is currently not allowed.